108 Niteko lamps illuminate the new Nord-South street axis of Bari. Our lamps have been chosen to illuminate the roadway and the road below the bridge. Seventy pcs of Guida of Eleva series, in pairs, outline the arch’s shape of the cable-stayed bridge of Bari, illuminating the slight curve representing the new path of the Apulian town. The lamps could be remote controlled, this allows to increase the sustainability in terms of consumption but most of all in terms of environmental impact. The sixty-eight LED lamps of Guida series 134 W allow a power reduction up to 10 kW guaranteeing an annual energy saving up to 50.000 kWh, corresponding to ten thousand euros. All the LED lighting fixtures are remote controlled, thanks to this option it’s possible to reduce the power of the lamps, increasing the saving amount. In correspondence to the power reduction, the annual saving will be about 62.000 kWh. 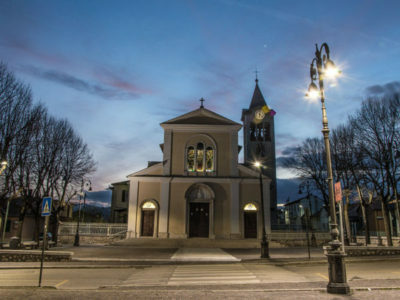 The thirty pcs of URANO LED floodlight series allow a power reduction up to 3kW in comparison with the traditional technology, allowing an annual energy saving up to 14.000 kWh, in terms of cost it means three thousand euros saved. Niteko has a huge consideration of the environmental impact of its products: the LED light allows to save energy and resources and the use of entirely recyclable materials offering a sustainable technology. The choice of our products for this project has been taken not also to reduce the lighting pollution on the new electrical systems according to the regulation in force, but most of all for their peculiar design, which is a perfect match with the modern architecture of the bridge, enhancing the outline of the bridge without compromising its design. We are proud to have taken part to the cable-stayed bridge’s lighting project with our lamps, designed and manufactured in Apulia.